Australia’s rail industry is pushing to change standards that cater for disabled passengers because it cannot comply with current disability laws. The push coincides with broad exemptions from disability requirements having been granted to the industry in October, including exemptions from meeting strict standards governing the gap between trains and station platforms. The exemptions, which were extended once more by the Human Rights Commission, allow rail industry bodies such as Metro Trains to avoid the rules mandating a maximum 40mm horizontal gap between trains and platforms and a 15mm vertical difference. Instead, the industry is allowed to mitigate the risk by alternate means. The gaps – the result of a mismatch between decades-old platforms and modernised and varied carriages – is a hotly-debated issue within the industry. Rail operators must always ensure sufficient clearance between trains and infrastructure so as to avoid collisions, while providing a safe stepping distance for passengers getting on and off trains. 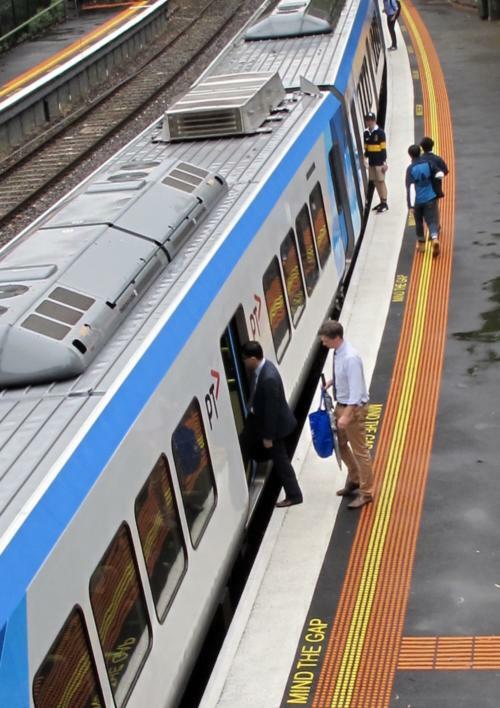 A recent investigation by The Citizen found that the horizontal gaps at some older stations on Melbourne’s network vary by more than 250mm, with some gaps of up to 300mm. According to Alex Borodin, the manager of rolling stock at the Rail Industry Safety and Standards Board (RISSB), some of that difference is explained by other engineering constraints, including the varying suspension of trains — even between identical models — and different passenger loads, as well as weather conditions in which the track itself could shift significantly. The Council of Australian Governments moved in 2012 to harmonise standards and safety across Australia’s rail network by establishing a national regulator that works with industry bodies such as RISSB, which is charged with developing industry-specific standards. Figures from the Office of the National Rail Safety Regulator show there were about 50 “slips, trips or falls” involving the gap between platforms and trains on Melbourne’s rail network alone in the 12 months to June 2015. Concerns over the extent of some gaps on the network were heightened when an 18-year-old man, Mitchell Callaghan, slipped and was killed early last year at Toorak’s Heyington Station (an older railway station on the Glen Waverley line). 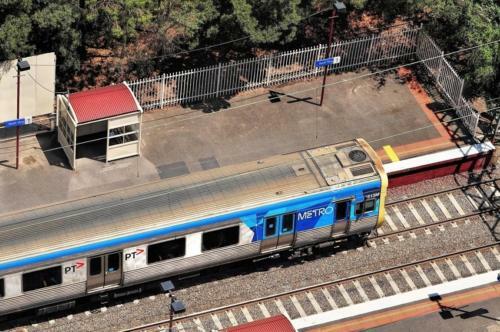 The tragedy came three months after a commuter contacted Metro about the extent of the gap between trains and Heyington’s platforms. The rail industry has sought the exemptions from disability laws to give itself more time to grapple with the issues, which could potentially cost hundreds of millions of dollars to resolve. According to the 2012 Transport Standards Review “an exemption allows a transport operator or provider to lawfully not comply with the usual requirements . . . for a set period”, and specifies this should not exceed five years on each occasion that one is sought. Various exemptions of this nature have been sought by the industry for at least a decade. Graeme Innes, the former Disability Discrimination Commissioner, is well across the industry’s push to revamp the Transport Standards of 2002, which were mandated by the Disability Discrimination Act. However, the Federal Government had not done the necessary work to allow an industry code to be put in place or for appropriate amendments to be made to the Transport Standards. “They’ve dropped the ball,” he said. The association, which has been lobbying for the changes on behalf of rail operators, declined to comment on the issue, but industry sources insisted that the transport laws, while well-intentioned and designed to provide safe and equitable access to all users of public transport, were too prescriptive and not rail specific, and could not easily be met. According to Laurie Wilson, the manager of infrastructure and engineering at RISSB, the standards were “extremely ambitious”. He said a compromise was paramount because of a long list of variables that included curved platforms, different rolling stock and suspension components, track stability issues that created height variations, as well as lateral variations due to hot weather. Instead, the industry favoured performance-based ways of improving overall safety rather than being made to follow the letter of the law. Mr Borodin cited as an example of mitigation the use of ramps at designated carriages to provide access for travellers with mobility aids. Many industry representatives said it would bankrupt the railways if operators were forced to comply literally with the disability standards. “It becomes so prohibitively expensive that they would have to be shut down,” said Mr Borodin. Mr Borodin’s RISSB colleague, Mr Wilson, agreed, adding that although the Transport Standards allowed operators to make adjustments over time – even years – the extent of the gaps between trains and platforms at some older stations would make it almost impossible to ever comply fully with the laws. He said that resolving the issues required “a lot of time, effort and money – including [impacting] ticket costs”. “Nobody would have a railway. There’d be no one running anything,” he said. Susan Ryan, the current Age and Disability Discrimination Commissioner, a position that incorporates two previously separate roles, was not available for interview but pointed via a spokesperson to the Human Rights Commission’s October 1 decision paper explaining its reasons for extending a number of the industry’s exemptions from the disability laws. “The Commission . . . accepts . . . that the rail industry faces legitimate difficulties in fully complying with the DDA and the Standards. These difficulties have their origin, at least in part, in constraints arising from legacy infrastructure and rolling stock, and from the nature of the rail environment,” the report said. According to the federal Department of Infrastructure and Transport, the most recent review of the Transport Standards, released in July, simply recommended “updating and modernising the Transport Standards”. The gap at Heyington Station was narrowed when rubber edging was added along the length of the platform late last year, and the track realigned, after a public outcry following the death of Mr Callaghan.